Maybe you stayed up late trying to find a missing W2, researching online whether you can really use that odd deduction or maybe you got your taxes done months ago. 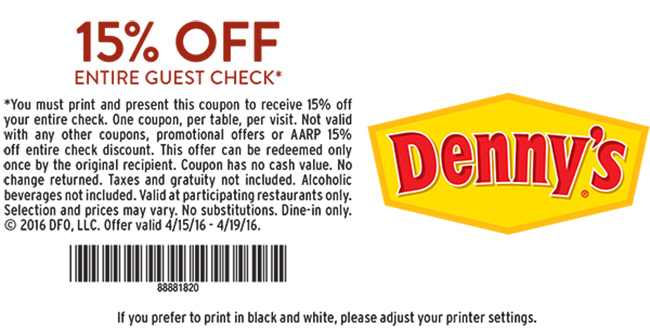 No matter, you can save on your food today! A Presidente Margarita for $5? Drink up! Just don't drink so many that you make an emergency deposit later. Get a large Thin & Crispy pizza, get a second large cheese pizza for free. It's like using your kids as a deductible. Let me just say upfront, I found this 15% coupon online but see no mention of it on their website or facebook page-- but maybe it works? Just don't hold us to it. Get 15% off your order with coupon! Red meat for 'merica. Wait, isn't this six?! Sonic doesn't have any New Hampshire locations, but we included it for the benefit of those whose commute brings them past one. Budget for one hamburger and eat two!